Am I a good enough golfer to participate? 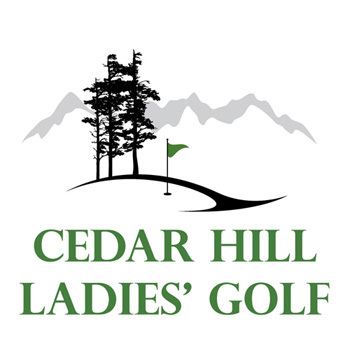 This event is about ladies getting together and enjoying a game of golf. Each team is made up of players with a range of skills, and the handicap system allows each golfer, no matter her skill level, to contribute to the success of the team. Will the Cedar Hill Ladies be making sandwiches the way they did in the 1970s? No. We have made arrangements for a lovely buffet lunch, so bring your golf clubs and your appetite. Each team is assigned a starting hole, and each team starts at the same time of 8:30 a.m. The course opens at 7:00 a.m. to give you plenty of time to sign in, pick up a coffee and snack, purchase raffle tickets and other tickets, meet your fellow team members, reconnect with friends, and walk to your hole prior to the 8:30 a.m. start. What is “four ball best ball”? Each person plays her own ball and counts the net score and gross score for each hole. The team then chooses its best net and gross score for each hole. I don’t know how to keep net score. Each team is assigned a captain, who will receive printed instructions on keeping score so you can just enjoy the golf. What are mixed club teams? Can I play with a friend? All teams are made up by the tournament chair. Each team includes players from other clubs with a range of handicaps. The total handicaps of each team are kept as similar as possible. Your foursome plays together as a team. You will be cheering for each other. This provides a perfect opportunity to meet and make new golfing friends. Is the entry fee tax deductible? Unfortunately not. The entry fee covers our costs. We depend on fundraising activities like hole sponsorships, donations, raffles, Beat the Pro, and other activities to raise our donation to Hospice. Last year we raised over $14,000 through these efforts. We are hoping you bring lots of spare change to donate: 100 percent of the money raised goes to Victoria Hospice. How can I help with fundraising? We are pleased you want to help. You can solicit donations from friends, family, acquaintances, associates, co-workers, and so on. You can also help by seeking hole sponsors at the reasonable cost of $50 per hole.